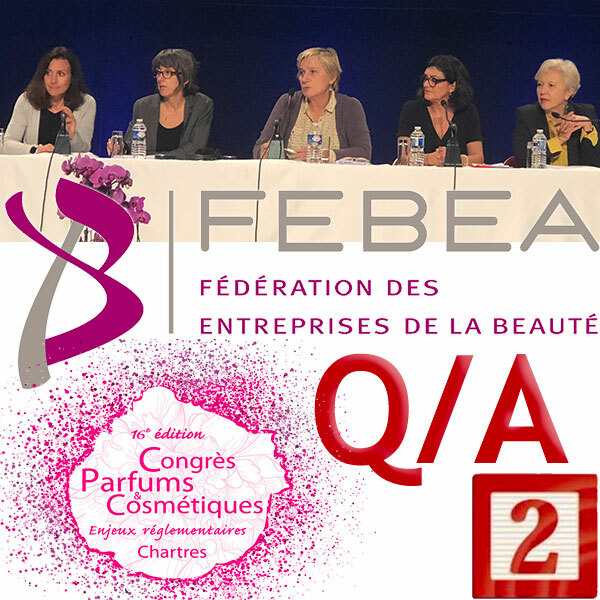 During the traditional Q&A that closes the Cosmetic Valley Perfumes and Cosmetics Congress every year, FEBEA’s scientific, regulatory, environmental and international affairs experts answered the delegates’ questions with open arms. Many focused on ingredients that have become “sensitive” in the news, on labelling rules or the ISO standard 16128 on natural cosmetics, as well as on Cosmetovigilance. A recourse against fanciful opinions expressed on authorized and duly evaluated ingredients by applications such as Yuca do they exist? There are currently five downloadable applications on the French market that assist consumers in choosing their cosmetic products, some of which offer a substitute product. These applications involve ingredients on an unscientific basis, and it is not the same ingredients that are involved in different applications, so if you take a product in different applications, you will have extremely different results. We tested a sunscreen product with a score ranging from 13/100 to “Everything is green and everything is fine”.